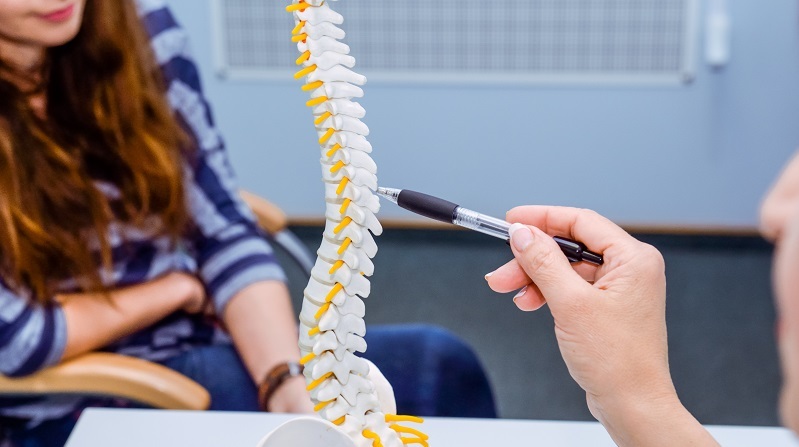 5 Ways You’re Unknowingly Taxing Your Spine | Dr. Stefano Sinicropi, M.D. Happy tax day! Hopefully, you’ve had your taxes filed for a while now, but if not, today is the last day to file them without filing for an extension or being late. While we were on the subject of tax day, we started to think of other things that are taxing in our life and how our spine often bears the brunt of some taxing activities. So in keeping with the theme, we thought we’d put together a blog that showcases five ways you may be unknowingly taxing your spine on a daily basis. Here’s a look at five things you do on a regular basis that may be putting more stress on your spine than you realize. Poor Posture – Poor posture is probably the number one way people unknowingly stress their spine. If you’re slouched on the couch or hunched over at your desk at work, you could be putting undue stress on your lumbar or cervical spine. Throughout the day, make it a point to conduct regular posture checks and strive to sit up straight with your head positioned directly above your shoulders. Phone Use – Similar to the above point, a lot of people put excess stress on their cervical spine when they lean forward to look down at their phone. The average person spends anywhere from 90 minutes to three hours a day on their smartphone, and if you’re craning forward to look down at it, it’s going to be pretty taxing on your back. Keep your phone more out in front of you instead of in your lap, and consider limiting how much time you spend on your phone. Poor Exercise Habits – Another way in which we can hurt our spine is if we have bad exercise habits. If you’re unfamiliar with equipment at the gym or how to perform certain lifts, ask for help, because doing them wrong can overload your spine. Also, if you don’t get regular exercise, you may be predisposing your spine to injury. Our spines need regular exercise to strengthen and remain healthy for the rigors of the day. If you aren’t regularly challenging your spine, you’ll be more likely to pull a muscle or hurt a disc when you do perform physical activity. Exercise regularly and with correct techniques to help your spine. You Overdo It – Whether you’re on the job site or simply planting the garden in the spring, it’s important to know your limits and avoid overdoing it when it comes to physical activity. There is such a thing as too much of a good thing, so while activity is important, overdoing it can cause a number of problems for your spine. Don’t be afraid to ask for help when it comes to lifting a heavy object or taking breaks between activities. Know your limits and listen to your back. If things start to hurt, take a break. Pushing Through Pain – One final way in which we tax our spines on a regular basis is by pushing through discomfort or signs of a problem. While some minor back injuries can heal on their own, they won’t heal best if you just ignore the pain and keep going on with your day. Proactively treat spine problems either on your own or with the help of a back specialist. Treating a small problem can help it heal and avoid the potential for more serious issues. Don’t let an issue snowball into a serious problem because you ignored the warning signs. For more information or helpful spine tips, reach out to Dr. Sinicropi’s office today.